Hot on the heels of M&S raising Moseley’s retail offer to a previously unimaginable level of luxury we now see our spiritual life similarly revitalised. For many, the acquisition of Pitmaston House by the Scientologists was just one of the rumours up there with Toyah Wilcox living on Wake Green Road. This week we realised it wasn’t just a rumour; though we had got a fair few hints through eight years worth of planning applications and the massive sign on the front of the building. 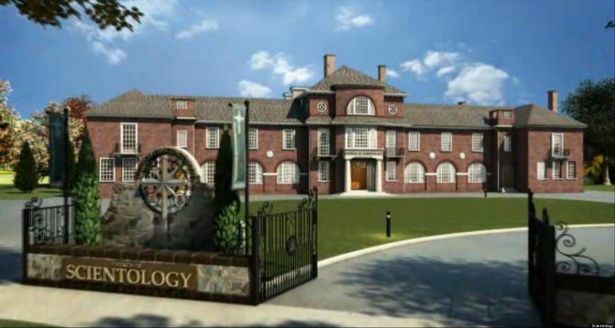 The opening of the new Church of Scientology has made many of us understandably worried so we approached the Church for some insight into their plans. They told us “We have come to Moseley because like no other area of Birmingham it symbolises the values we believe in. Moseley has scientifically been proven to be the most gullible part of the West Midlands. You consistently vote for anyone that promises you a railway station and the centre of your High Street is a shop that makes money out of getting people to drink their own urine. To be honest, we want a bit of that action, the easily led bit, not the piss drinking bit, that’s disgusting. So basically, whatever you might have heard we’re not going to brainwash your kids and nick your money. We might joke about this but it is a lose-lose situation for the people of Moseley. Either the Scientology belief system is credible, in which case we might all be eaten by hungry space lizards, or it’s all a sham and they will systematically break up families and prey on the vulnerable. Neither appears to be an enticing prospect for the rest of us.